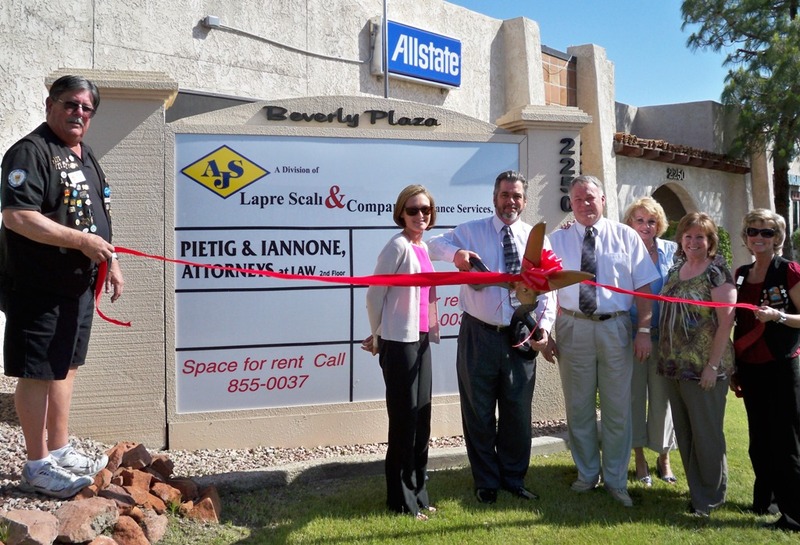 The Lake Havasu Area Chamber Ambassadors held a ribbon cutting ceremony for The Law Offices of Pietig and Iannone to celebrate 20 years of serving Lake Havasu City. The Law Offices of Pietig and Iannone are located at 2250 McCulloch Blvd., Suite L, practicing family law, estate planning, probate, civil litigation and criminal defense. On hand for the ribbon cutting from left to right were: Mike Schuler, Jessica Dietrich, Vincent Iannone, Donald Pietig, Alice Pietig, Mary King and Denise Johnk.